Location Don Valley Parkway & York Mills, Toronto. Project Description Master-planned community. Program / Size Seven buildings; 1,600 units. Development Partner Alit Developments, Tel Aviv. Status Pre-construction. Urban Capital is coming uptown to give one of Toronto’s most picturesque neighbourhoods a renaissance. 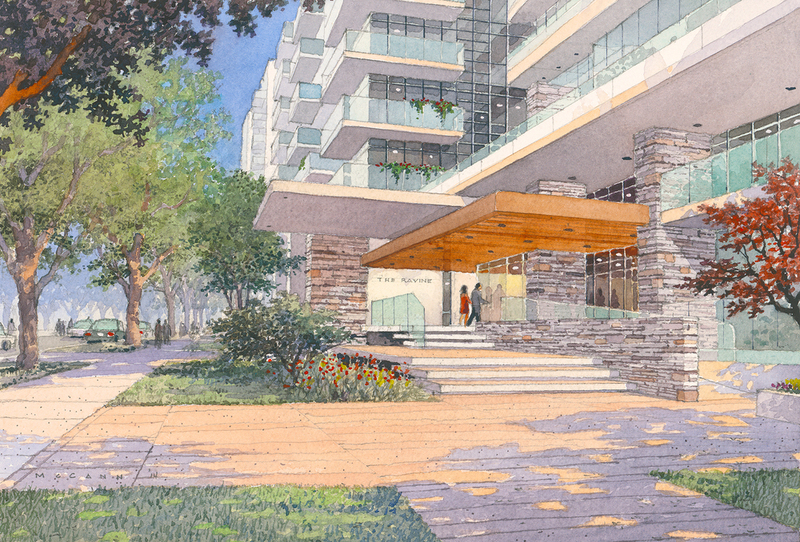 Ravine, a new master-planned community in York Mills at the DVP, will ultimately comprise a total of seven buildings with over 1,600 units on 13 acres, with two acres of new parkland and two more acres of dedicated conservation lands, overlooking the Don Valley and the spectacular Brookbanks Park.